The cell phone wars are raging and everyone is vying for your dollars and brand loyalty. In a never-ending effort to outdo the next guy, new models and technologies are unveiled more rapidly than most teens thumb-type their text messages. That means a whole lot of perfectly viable but not-up-to-the-minute phones are being shoved into drawers or cabinets or dropped off at community electronics recycling events to be pulverized. Every day in the United States, half a million cell phones are discarded! Here’s another way to recycle (I wrote about some other great places to recycle phones back in the early days of this blog–check them out here, so you have lots of options). 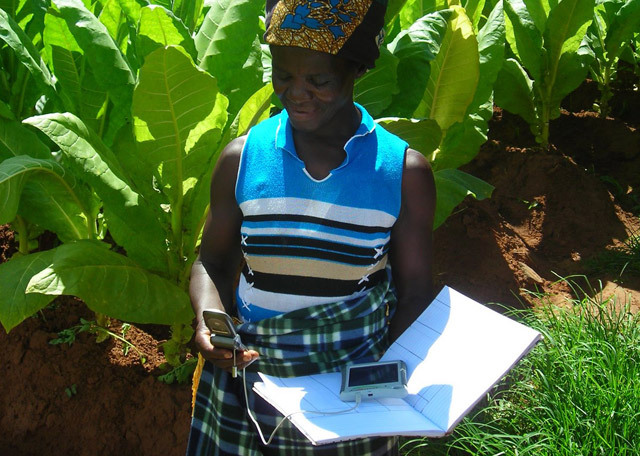 Hope Phones is funding the international work of Medic Mobile, advancing healthcare with mobile technology. The process for you is free and easy, to donate your own phone(s) or even organize a phone drive to help out in a larger, still simple, way. They take any phone, working or not, and no problem if you’ve lost the charger and cords. Their recycling partner erases all the data through a certified, secure process, then they refurbish and transfer the value to Medic Mobile so they can provide cellular technology to medical professionals around the world. Just go to the website and print a free shipping label and send your old phone in. Those cell phone help patients, medics, and community healthcare workers connect to clinics for emergency care, medicine, maternal care, and infectious disease support. They are currently supporting communities of need in 16 countries around the world, and if they are able to recycle just one percent of all the discarded phones, they would outfit one million health workers, improving the lives of 50 million patients. That phone is little more than a paperweight for you, but in a remote African village or East Asian farm community or South American rainforest village, it can save lives.